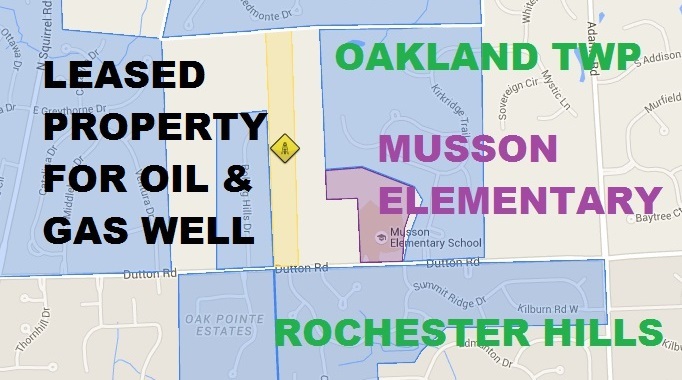 Residents in some Oakland County high-density residential areas are shocked to learn that oil and gas operations may be coming to their neighborhood. 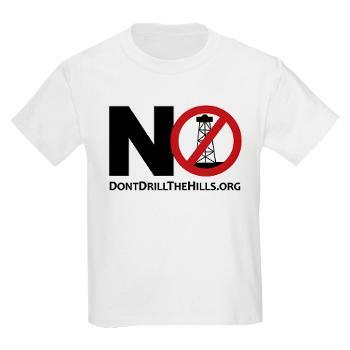 Don’t Drill The Hills has been actively watching for records filed with the county involving oil and gas leases. On May 11 West Bay Exploration filed with Oakland County an oil and gas lease which allows surface activities including drilling rigs, pipelines, access roads, and storage tanks on 18.82 acres at 3700 Dutton Rd, adjacent to Musson Elementary school and across the street from prestigious Hawthorne Hills subdivision (See the lease document and our interactive map below). With a wellhead at this location West Bay can horizontally drill, using an “acid matrix stimulation” method up to two miles away. This includes drilling into the parks and cemetery leased by Rochester Hills… areas at issue in the DDH lawsuit against the city. Please stay tuned for more information as we monitor permit applications and lease filings. Support DDH efforts by donating. If you are concerned about industrial activities being permitted in residential areas, you need to ACT NOW! DDH started warning residents over one year ago about the possibility of drilling activities in the area discussed today. We need you to voice your concern NOW at the Rochester Hills City Council meeting on Monday, June 15. Contact your local officials, the DEQ, and your state legislature telling them you don’t support drilling near our schools and neighborhoods. The drilling has not yet started. The time to voice your concern is now… before the wells go in! Click on colored areas for more information. BLUE=High-density residential, YELLOW=Leased for oil & gas surface operations. View of property leased to West Bay Exploration and Hawthorn Hills Subdivision across the street. Click here for interactive Street View map. In the coming weeks we will be posting the details of other leases in the areas of Rochester Hills, Oakland Twp, Auburn Hills, and Orion Township. ACT NOW! Voice your concern at the Rochester Hills City Council meeting on Monday, June 15. This is outrageous! Who in their right mind thinks drilling right next to a school and several high-density residential areas is OK? Given all the potential dangers of oil and gas drilling, it should NOT occur near families in subdivisions and children in schools! It is very unfortunate that money is the driver of the issue, overruling common sense. There is already a smelly natural gas plant adjacent to the school and prestigious neighborhood. If people can live around a natural gas plant, a little drill shouldn’t make much diffetence. There is never just 1 well. It you think “It’s not near me” think about this. Wells are placed no more than two miles apart. irish Hills thought they they were signing for 9 wells, they have 59 wells. Oakland Township has not really been ‘engaged’ in the battles that other communities have been in on this issue. Now that it is ‘in our backyard’, maybe our citizens will not only help Rochester Hills on this issue, but make sure our Board takes the necessary actions to prevent inappropriate wells in our community.